The interesting fact is that both Google and Facebook are reaching 50% of their audience on mobile now and Amazon and Apple are close behind. I added Wal-Mart into the mix because with its distribution network it could still have a shot at becoming a major online marketplaces player. The mobile ecosystem shifts consumes away from web search on the desktop into a more fragmented world of vertical apps. 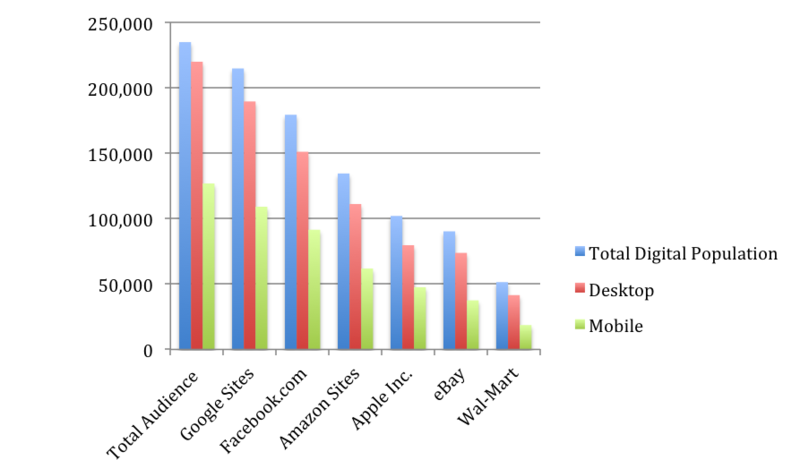 Online marketplaces are going mobile and marketplace apps will dominate. Consumers use only a couple of apps consistently and it is extremely hard to get into that list. 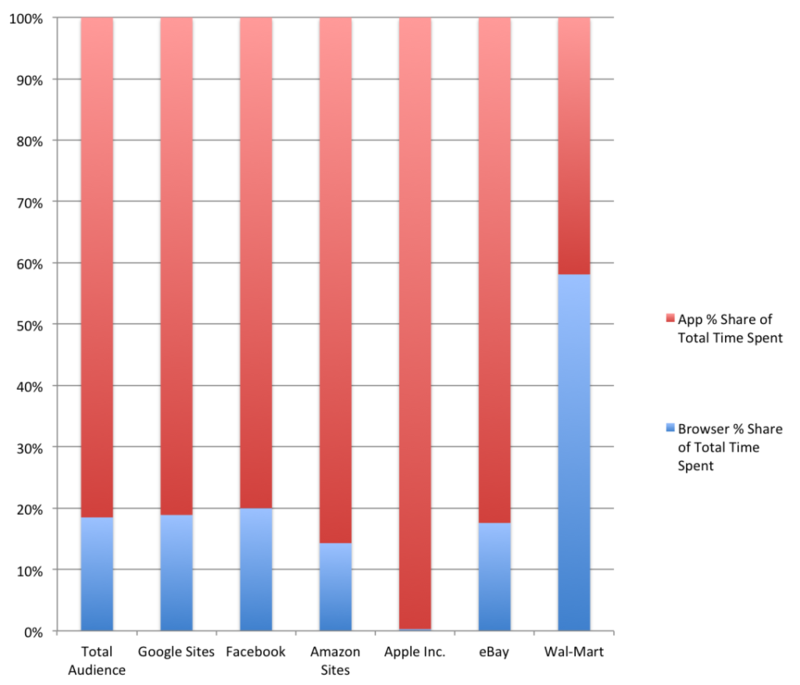 One or more players out of the short list shown above will dominate shopping search using online marketplaces on mobile. The options for startups and retailers are limited: either join one of the marketplaces as tenant, join the ecosystem (APIs) to add value on top, or innovate outside of generic shopping search. This entry was posted in Uncategorized by thomberg. Bookmark the permalink.